Our East Europian customers successfully sell in online stores created by CommerceRun. 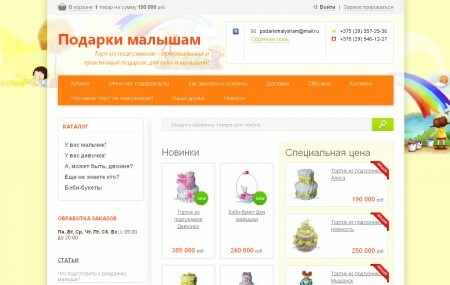 These are just a few store examples. «SportExtreme» — tourist and sports equipment online store. 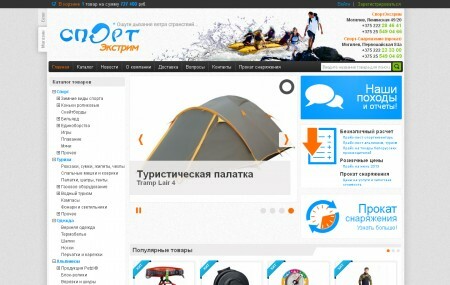 Sportextreme — store for underwater hunting, sports and tourism. 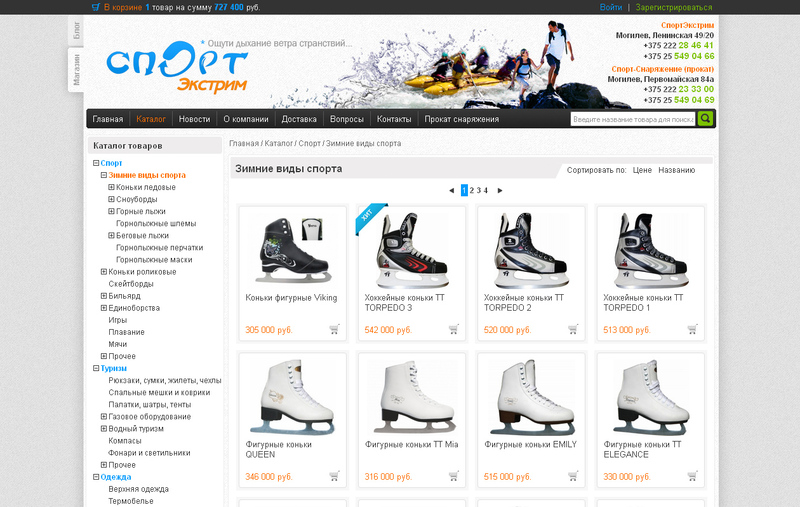 a wide range of products for spearfishing in Sportextreme catalog — such as guns and crossbows, wetsuits, masks, snorkels and fins. «Gifts to kids». Diaper cake — original and practical gift for moms and kids! 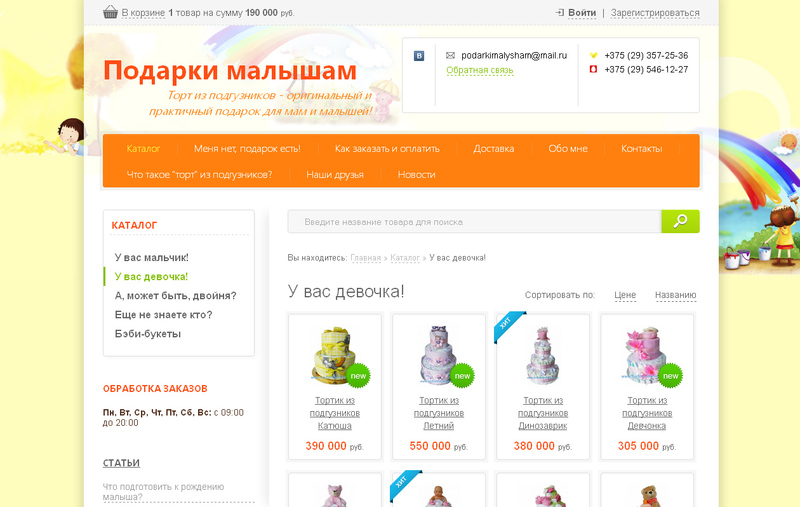 Gifts to kids — it's perfect solution for young moms and kids. that the first shall behold your gift, then photographed and, eventually, use as directed. 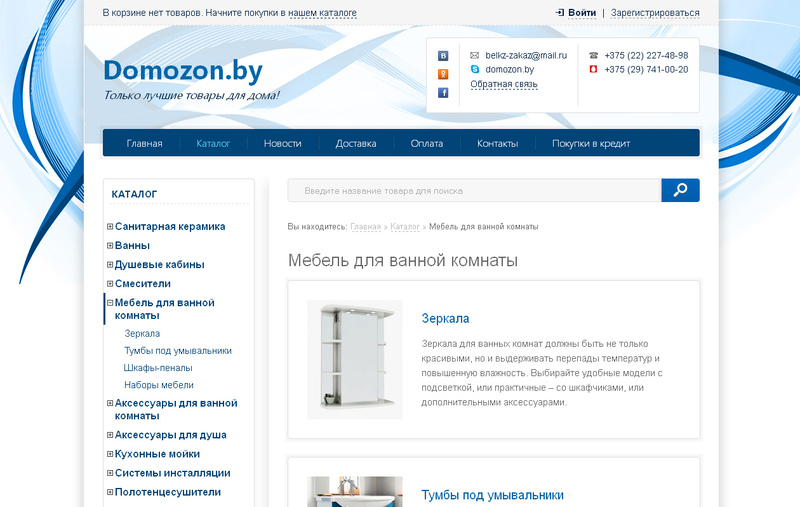 «Domozon» — online store of plumbing, furniture and bathroom accessories. 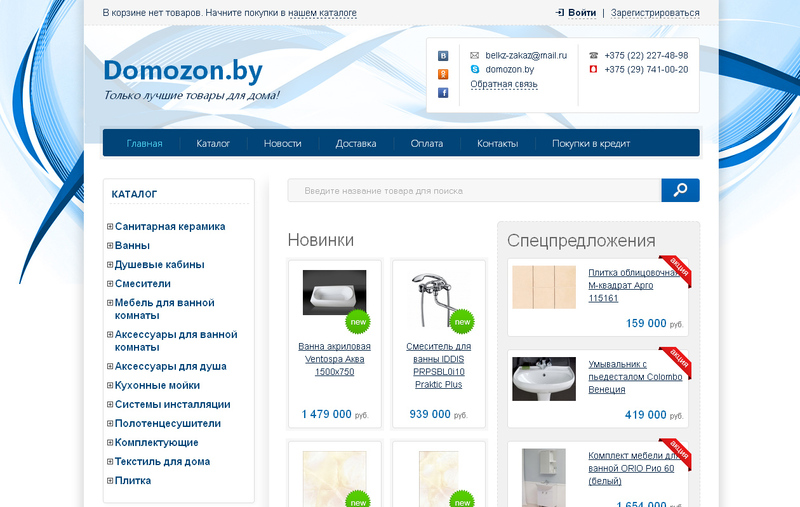 Domozon — online home improvement store! 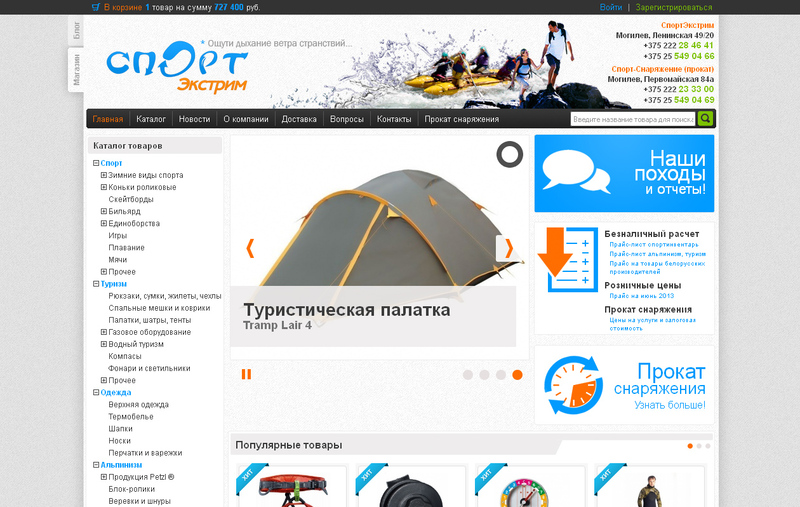 The best examples of plumbing, furniture and bathroom accessories are collected at the same site.